While I normally record my entire progress and like to share it with whoever is interested, this project is a bit more personal. I just wanted to go all out for once, not caring that much about performance or proper practices and just focus on the end result. For quite some time now I felt the need to just make something for fun but never could come up with something concrete until I saw a food documentary about the versatility of the lotus plant. As a teen I really loved learning about ancient cultures and how religion shaped those cultures and when I recently started reading more about Hindu culture, Lore, symbolic meaning some things started to click. subconsciously I might also have been influenced a tad by Uncharted 4 its DLC “The Lost Legacy” now that I think about it. 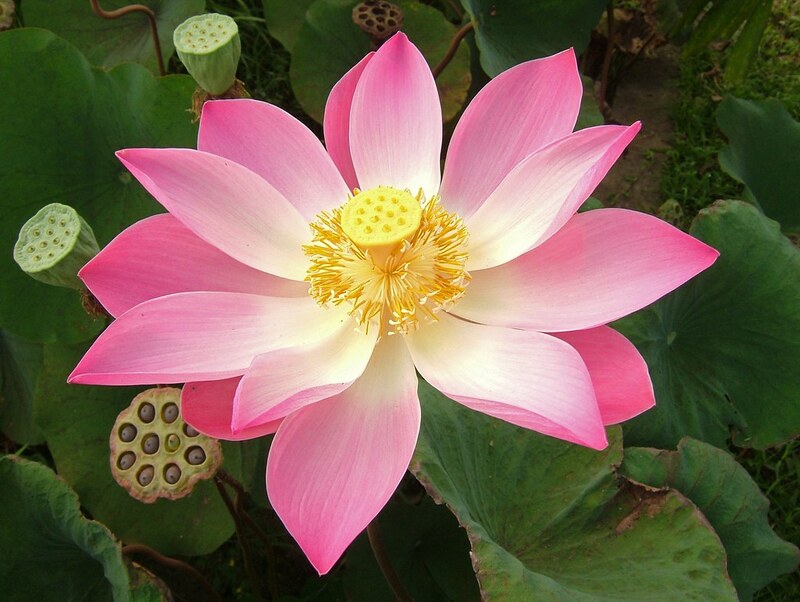 So I started gathering a moodboard of some sort around the beautiful Lotus, Mandala’s, and reading upon quite some symbolism in the Hindu religion. 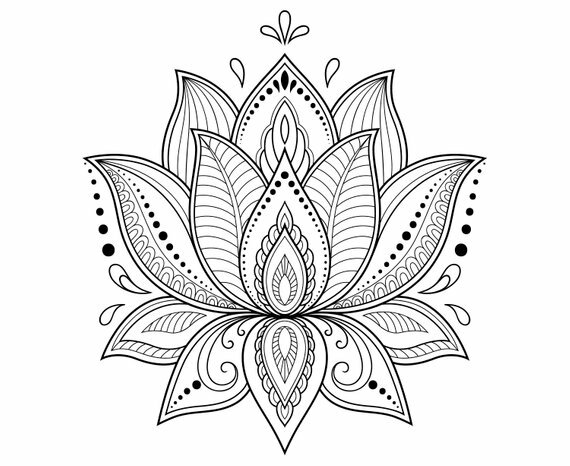 So by now I knew I wanted to make an animated lotus which from the top would look like a mandala. 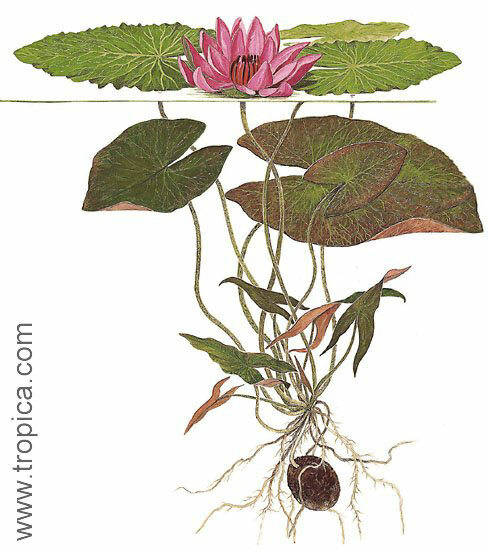 So besides a few scribbles and thoughts I started out modeling the Lotus plant. I figured I’d start with the stamen first, as a lot that I would do with this might be reusable knowledge for the petals and such. and since I have a moodboard open filled with mandala’s the critique was at the right time. which is much more to my liking. Keep in mind that the timing is all but final at this point, and will be iterated upon once I get everything inside UE4. From there on --while still writing down ideas, scratching out others-- I decided to animate a petal. I tweaked it a bit since, but the overal shape and movement is the same, but it doesnt shrink at those last few frames anymore. Now, since I knew that I needed layers upon layers of petals I wanted to be sure that there is no overlapping of meshes besides where someone viewing it would never notice. Each layer is animated differently, reusing what I learned making the previous layers of petals. Max is really stuttering with these when moving the timeline. So now that this was out of the way, and me preparing most uv-channels and vertex color I’ll be needing. (educated guess) it was time to really finalize the underlying idea of the effect. Which basically comes down to this. Lotus core statue in (forgotten?) garden/ruins. Camera: Slowly focus on it, and the broken sphere. Broken sphere “sparks” with slight aura. Big flash, an energy filled orb crashes into the broken sphere socket. Lotus core statue was covering an actual lotus core. Focus on energy orb from distance when another energy orb blasts into another socket. A third energy orb blasts into the socket. First layer of petals grow, fade from slight emissive, emissive hindu-ish tribal draws on them. Lotus burns out of existence. Garden turns calm again, only the broken shells of the lotus core statue remain. Phew, I got my work cut out for me, I might hate myself a little. So, since I now know the basic flow I knew I needed a statue-version of the “core” or stigma of the lotus, so I modeled it high poly and cooked it down to a low poly. 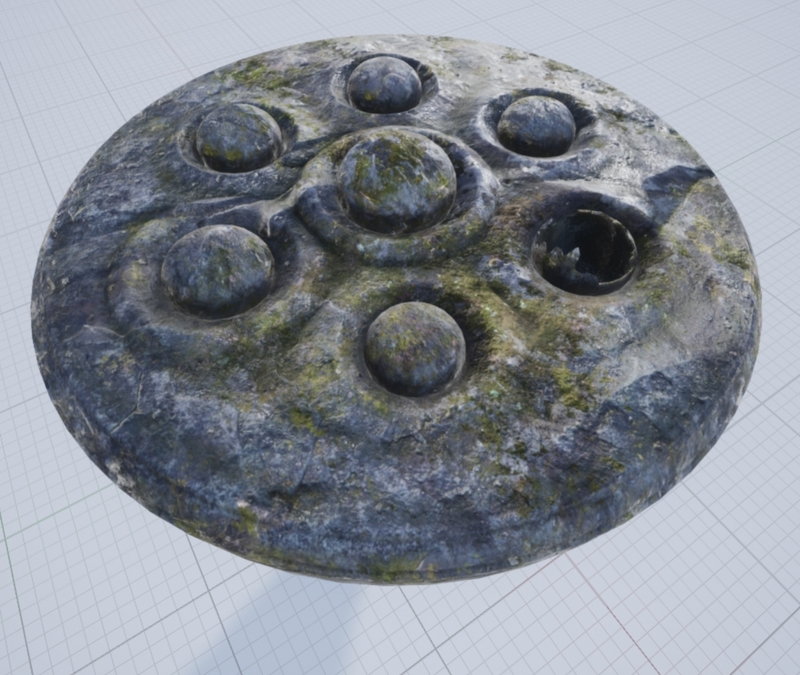 As I am not that familiar with 3dcoat/substance/quixel I asked around for someone to make me an old statue/stone like texture for it. which is being worked on atm. So for now, here is the untextured statue-version. Thats how far I have come as of now. 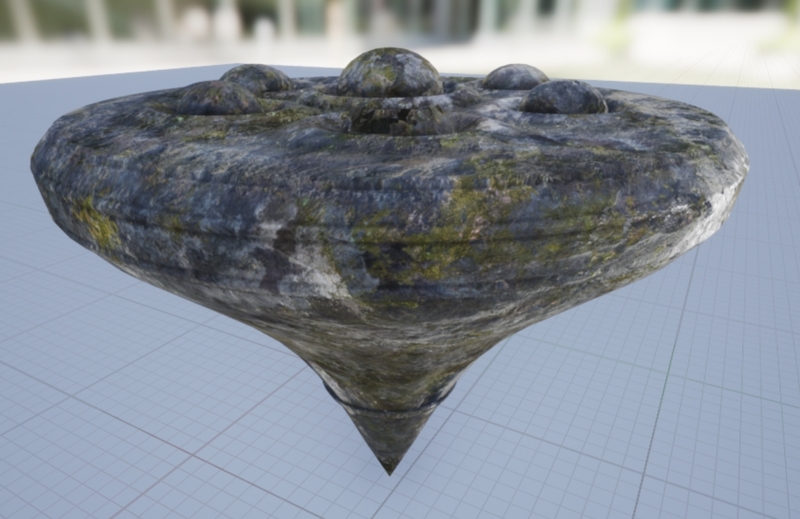 Now I can start exporting a lot of this as vertex animation, and while in actual production I would do much more of the animation inside the shader trough math-tricks (like the roots seen in god of war) this is me being lazy and /caring about the progress as much as I can, focusing only on the final result. After I import them and fix up any oddities I will be focusing on creating multiple textures for each petal as they will change a bit over time. Edit: I am not sure why the first few gifs in this thread are not showing… they work when pasting in discord. hmm @Keith do you have any idea? So, why seven orbs and so many layers? The number seven also appears very frequently in Hindu scriptures. durga manifesting herself into seven forms while fighting a demon, the seven flames of Agni, the sungod riding a chariot pulled by seven horses, the human body having seven energies that awaken during spiritual practice, and much, muuuuch more. So while it only plays a small role for this effect, the additional symbolism is a nice touch, and an interesting read. Additionally, the bigger orb in the center is just nice symmetry. I will probably add something uhm/om related to this bigger orb. Hopefully the end result will be lovely as well. Im always my own worst enemy hehe. Buddy Levia Fandango was cool enough to provide me with the texture for the statue-version. That looks rather sweet imho. Only had so much time tonight, but managed to import one of the vert-animated meshes and did some simple shader-tests on it. I kinda mis-mathed some things, and a 15k width texture was not the right result. So will probably have to do it in multiple parts. which is fine, just slightly more overhead, and some additional things I need to take care of inside the shaders. Though better yet, since everything is symetrical I can get away with only copy pieces and duplicating it. Might push more drawcalls, but significantly smaller textures. It looks like you just needed to add an additional line (i.e. enter/return) before the gif - something about the regular text formatting sometimes prevent embeds from unfolding, so when in doubt, pressing enter again usually does the trick! Managed to import the entire lotus, noticed I forgot to properly set the export frame amount, and in the end I really dont like how the bottom petals are growing, so need to tweak those. And Levia was kind enough to send me the final textures for the statue-version. So, fixing frames tonight, and getting some texture work done on the petals/stamens. Nice work so far! For the petal animations, I’d try looking for some timelapse reference of things growing… The trick to making that kind of movement look natural is to understand that natural plant growth does not “plan ahead” - at any given time along the way, the expansion fills a vacuum to optimize exposure to light, until an equilibrium is reached between the surplus of energy within the plant and the cost of its expansion. Does that make sense? It’s a blossoming, a stretch, a standing-up-straight, a yawn.